Discussion in 'Announcements' started by Shane, Apr 2, 2019. 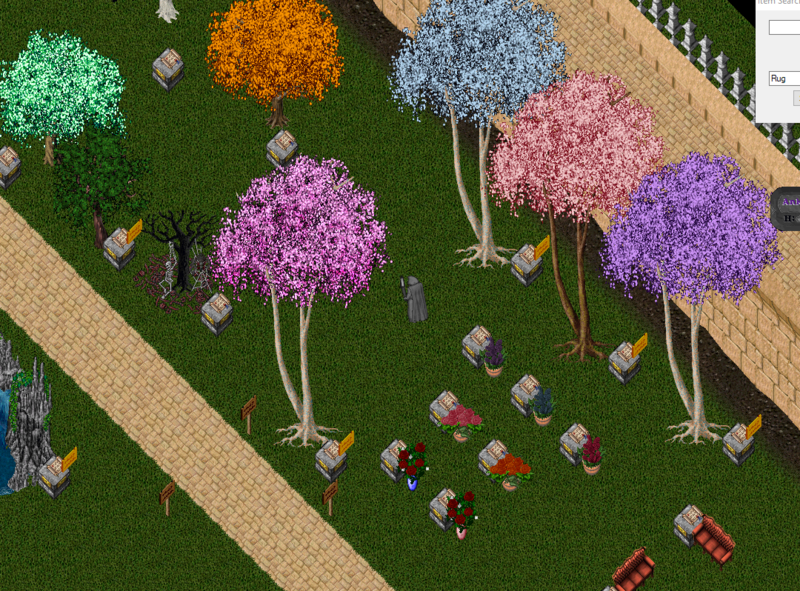 The Spring Donation Vendor is NOW ACTIVE. The Spring Decorations are NOT YET ACTIVE. Deer Mask, Bear Mask, Tribal Mask, Bone Mask, Orc Mask, Cannibal Mask, Loin Cloth, Belt, Quiver, Leather Gloves, Double Sash, Sandals. 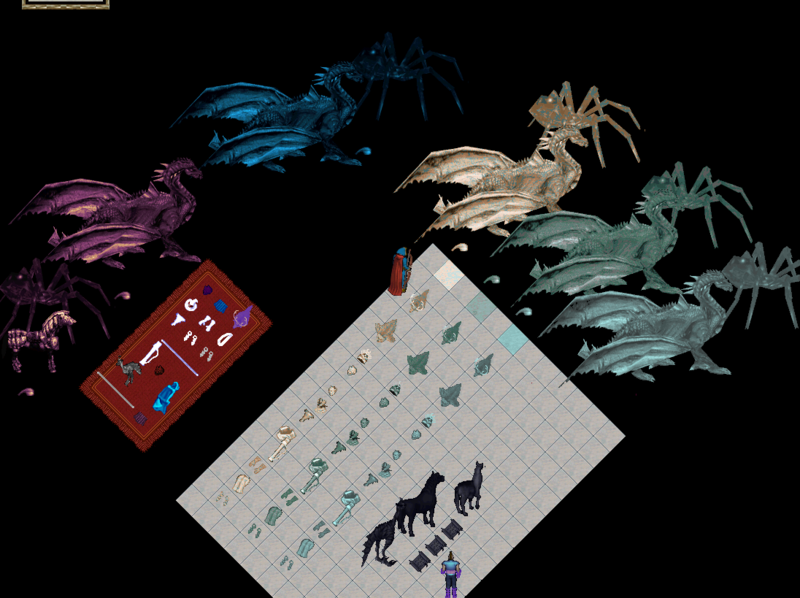 Ethereal Frenzied Ostard, Horse and Llama dyes. 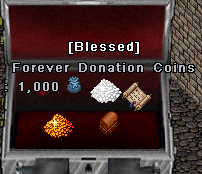 How do I obtain these special donation items? Within 24 hours the donation coins will then appear in your players bank. 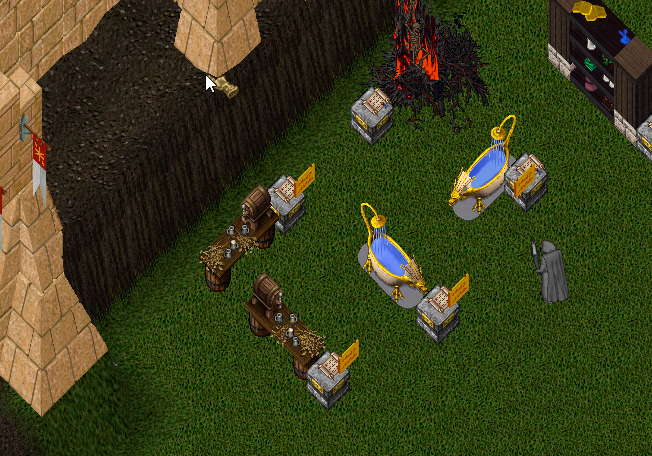 Buy donation coins from established Ultima Online Forever players for gold. 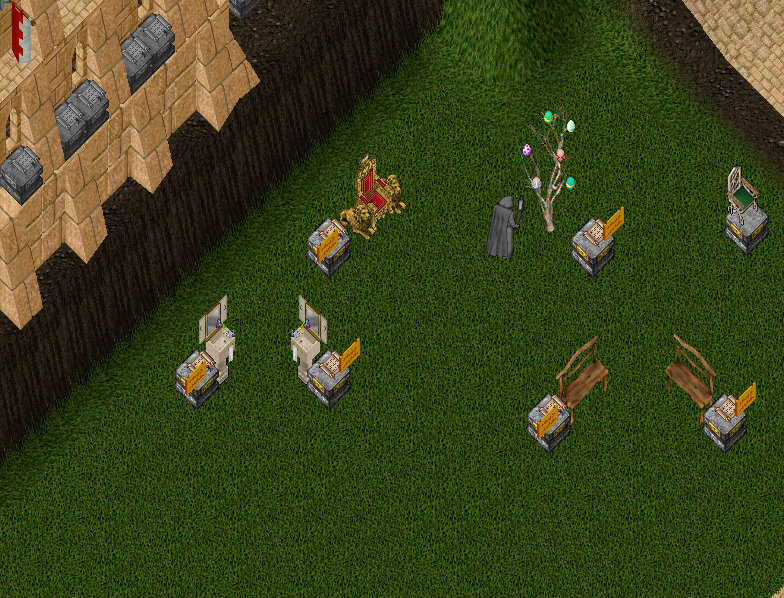 Prices vary, but as of this post the current rate for donation coins is 170k - 190k gold coins per 1,000 donation coins. Okay I have obtained donation coins, now how do I buy things? You will need to be in the main city you started in (Britain), at the West Bank which has the reputation of being the largest and most well-known bank within the world. 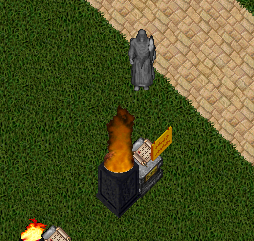 In front of the bank you will see a vendor/person named "Shop - The Donation Vendor" You simply double click him to bring up the same [shop menu mentioned previously. Choose wisely, as there are no trade backs! Can I sell my donation coins for gold in game? Absolutely. The way we have personally experienced and see it, is that those players who are working too much in real life and cannot seem to dedicate the amount of time to be in dungeons grinding day after day are able to donate, then sell those donation coins (for gold) to those players who may not work everyday and who have a lot of time to grind in dungeons. In return, those players who cannot donate, simply because they may not have the finances in real life or otherwise, are usually also the same players who have more time for the game compared to the player who does not have the time due to working so much. So that is where the balance lies. Who the heck would donate to something like this? Why should I donate at all? You don't have to. It's a choice we leave up to each individual and we never push it. The way we see it is that we offer unlimited entertainment absolutely free. You can get days, weeks, months — and many players have soaked up years — of entertainment at no cost at all to them. This is a game that never ends, and we are consistently adding new content and ways to take your characters further. We have a 99% server up time ratio spanning across 3 solid years while not only maintaining a steady player base and community, but vastly growing it. We have personally pioneered taking "private servers" to a professional level which players, in our opinion, absolutely deserve. When people ask us why they should donate, our usual response is asking them if they go out to restaurants, bars, nightclubs or casinos. Most people do, and the fact is the people who usually ask these questions don't blink at spending 100$+ (A NIGHT) out to eat, or at a nightclub. So donating anything here, for great service, superior marketing, corporate gaming level up time, consistent updates and unlimited entertainment 24/7 whenever you need it, is really not a bad investment. Plus you get the donation coins! I have donated, so I am more important than anyone who has not. Many people can now attest to this; just because you donate, no matter if it is 10$ or 10,000$ you are still at the same level and treated the same as those who do not donate at all. So where do my donations go? 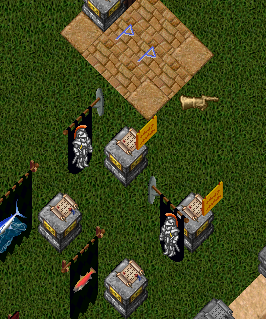 At this point we have invested over a vast sum of money back into Ultima Online Forever over 3 years in staff wages, advertising, server fees, and more. No private server has ever invested this much into itself in the history of private servers dating back over 15 years. We have full-time paid staff members going on 2.5 years now which has never been done previously. We are very wise on how we market and advertise diligently and consistently. We ensure our image is nothing but the best in quality. We have not only set the bar high, but we constantly aim to raise it higher. As a result of the above, we currently have a constant flow of new players daily, our staff members are honest, experienced and caring people. making our brand is at this point more powerful than ever. Your donations are not and will not go to waste. When you donate you are giving hundreds of players who cannot donate the ability to play for free, while contributing to the entire longevity of the entire community! 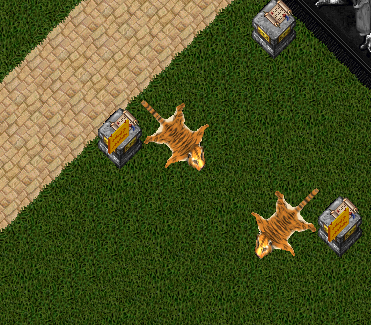 expand Ultima Online Forever farther than we ever originally thought. As an ultimate result we have an amazing, solid community, built from thousands of great individuals that grows every single day. We saw a great opportunity and invested wholeheartedly back into the server, the brand, and most importantly — The Gamers. You can see the items at West Britain Bank. 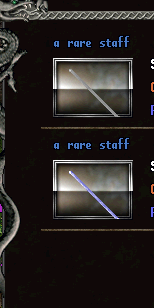 We have removed the "Unique Staffs" from the donation vendor and replaced them with upgraded "Rare Staffs". These staffs are blessed and aesthetic only. They are layered to the neck. When equipped you can cast spells, meditate and stun! 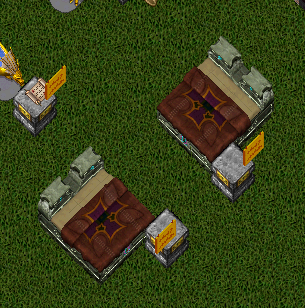 This makes these items completely cosmetic.